Bellona.org > Latest News > Climate change > International climate conferences > From Paris to Marrakech: where are we now, and what to expect from COP 22? From Paris to Marrakech: where are we now, and what to expect from COP 22? BRUSSELS – On 21 September 2016, Slovakia became only the fourth EU country to ratify the Paris Agreement after France, Hungary and Austria. The next EU country set to ratify the accord is Germany, which has gotten internal approval to start the ratification process. Although the EU intended to be a leader in pledging to implement the measures that were agreed upon in Paris, this has thus not yet materialised. Ahead of the UN Climate Conference, COP 22, which takes place in Marrakech from 7 to 18 November of this year, it is hoped that the Paris Agreement will have entered into force so concrete talks on its implementation can begin. Some EU Member States, however, might be jeopardising this process. What is the status of the Paris Agreement in the lead-up to the COP 22? In total, 55 signatory countries, representing at least 55% of the global greenhouse gas (GHG) emissions need to have ratified the Paris Agreement in order for it to enter into force. As of the writing of this article, the tally shows that 61 states have ratified the Agreement, which is above the limit at which it would enter into force. 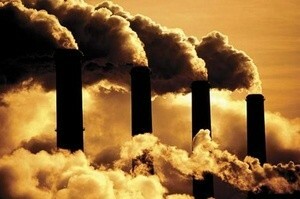 However, only 48% of the global GHG emissions are represented, which is not enough. Although the Agreement is on track to enter into force earlier than anticipated, some have expressed disappointment at EU Member States for not taking the lead in the ratification process. While the EU is not essential for the Agreement to enter into force, failure to rapidly ratify the agreement risks damaging the EU’s historic reputation as the leader in climate diplomacy. In order to regain momentum, the EU is scheduling an extraordinary Environment Council on 30 September to discuss the possibility of fast-tracking the ratification of the accord. If the EU, representing 12% of the world’s GHG emissions, would ratify as a united block, the Agreement would comfortably enter into force. A major obstacle to this, however, is the opposition of coal-dependent Poland. Only if its energy priorities are considered, would it back such a process. This new development seems to raise levels of uncertainty about whether such a fast-track is realistic or not. If no such deal can be agreed upon within the EU, the Paris Agreement might not enter into force before COP22. This reaffirms the need for the deployment of Carbon Capture and Storage (CCS). This would enable countries such as Poland to both commit to the ambitious climate goals of the Paris Agreement, while not sacrificing their own energy security. Bellona has long been convinced of the necessity of CCS in reconciling climate and energy security priorities (read our brief on this topic here). “Without the correct mix of climate technologies we will continue to see conflicts between national priorities and climate targets. Coal and gas have no future without CCS”, argues Keith Whiriskey, Manager Climate Technologies at Bellona Europa. As Bellona has done for every year since 1992, it will also be present at this year’s COP. In 2015, Bellona organised approximately 50 events, at which close to 150 speakers shared their views on various low-carbon technologies. High on Bellona’s agenda for COP 22 will be, like during COP 21, bringing policy makers’ and negotiators’ attention to means and technologies needed to deeply decarbonise heavy industry sectors such as CCS and carbon removal technologies (i.e. the combination of CCS with sustainably sourced biomass, bio-CCS). To this end, Bellona will be teaming up with policy makers, industry, academia and civil society to ensure a strong and united message is conveyed.